Nothing says Joy like a beautiful floral arrangement. Beautiful Weddings and Design Studio has years of experience in creating beautiful and thoughtfully designed floral compositions. 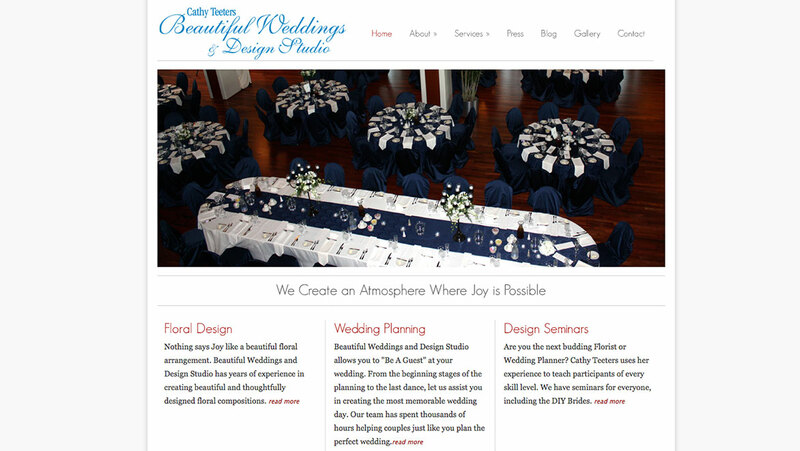 Beautiful Weddings and Design Studio allows you to “Be A Guest” at your wedding. From the beginning stages of the planning to the last dance, let us assist you in creating the most memorable wedding day. Our team has spent thousands of hours helping couples just like you plan the perfect wedding. Are you the next budding Florist or Wedding Planner? Cathy Teeters uses her experience to teach participants of every skill level. We have seminars for everyone, including the DIY Brides.